December is here and soon we will be celebrating the Christmas season. Truth to tell, the commercial Christmas season has already begun. As we reflect on Thanksgiving, and move into Advent, our focus, however, should be on preparing for the birth of Jesus. If we are already grounded in stewardship as a way of life, the spiritual nature of Advent becomes very important to us. If we celebrate Advent, and Christmas, for all its spirituality, it keeps our focus clear. Somewhere between Santa Claus and Scrooge, preparing to celebrate the birth of Jesus by giving a gift can be a very good thing. If our intention in gift giving is to commemorate God’s greatest gift to us, His only Son, then we are on the right path. Our gift giving is in imitation of God’s gift to us and that is good and holy. Could it be that the new American Dream is to spend money we don’t have, on things we don’t need, to keep up with trends we don’t understand? Our focus on gift giving goes askew when we buy an over abundance of gifts because everyone else is doing it. If we see ourselves in these scenarios, then our celebration of Christmas really is out of order. 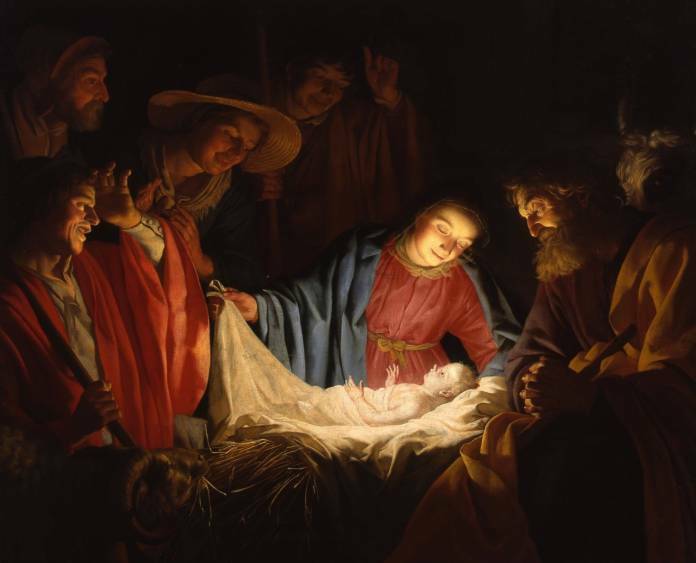 So, how do we keep our focus on the birth of Christ? Active participation at Mass is a wonderful way to keep our focus clear. Family prayer is a special part of Advent, as well. Many families already have a custom of lighting an Advent wreath. This is something everyone could do today and continue throughout the season. We will explore other time, talent and treasure opportunities to prepare well for the birth of Jesus in the weeks to come.